This week for the written comic book reviews Pablo Gunner reviews the DC villain books. 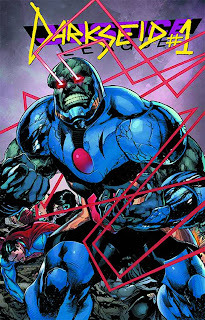 Find out what he had to say about JUSTICE LEAGUE #23.1 DARKSEID, BATMAN & ROBIN #23.1 TWO FACE, BATMAN #23.1 JOKER, ACTION COMICS #23.1 CYBORG SUPERMAN. As I recall the story was kind of confusing and weak but at least the art was good. 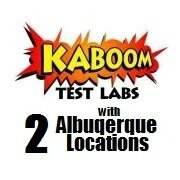 I'm not sure about you but I always thought that Krypton blew up. In this story it looked demolished but still in tact. Somebody sent a distress signal to Brainiac. Brainiacs robots surveyed the planet finding a few survivors but helped only one, Jor-El. 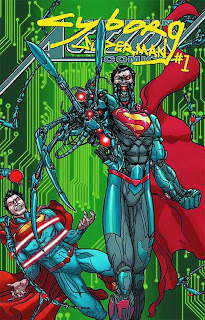 He was salvaged and repurposed as a cyborg version of superman as a herald to find others worthy of Brainiacs mercy and assistance none of which he found while scouring and destroying countless planets and civilizations. This seemed more like a one-shot than anything else but was left unresolved, unsettled, and left me feeling dissatisfied. This may be a prequel to an upcoming Action Comics story or arc but I was none the wiser based off how the story was told. Honestly I'm not even sure who Cyborg Superman is. It didn't matter and I could care less. The story did absolutely nothing for me. I was rather impressed by the art. It may have been a little more sketchy, gritty, and line heavy than most Superman books but for what this story was trying to go for it worked. The colors were still bright and vibrant so that was something that was captured well as far as Superman comics are considered. This was an interesting book in the sense that it seemed to serve no purpose but it was memorable. It was odd because at first Joker is at the Zoo with some weirdos I've never seen or heard of in my life. He keeps having flashbacks to when he was abused by his aunt. Then he decides he wants to start his own family so he kills a gorilla and takes her baby. He raises it as his own. There's fleeting moments of happiness. They seem genuinely happy wreaking havoc together. Then all of a sudden something goes wrong, the gorilla starts weeping, and lets itself die. The last line more or less explained that Joker is one of a kind and cannot be recreated. Honestly it just left me confused not really understanding what the story was about. If that's what they were going for there had to be a better way to convey that message. Once again the art was spectacular. It was colorful, exceptionally well done comic book art. I couldn't get a handle on this Joker but maybe that was the point. I don't think this ties into anything as it appeared to just be a one-shot. This was hands down one of the most satisfying reads of all of the DC villain books this week. First off Guillem March is a fantastic artist and yet this style seemed different than his work on Talon which impressed me even more. Tomasi has been writing this title from the beginning and this story was unlike any of the B&R issues I've read. It was fresh, new, different, and unique. 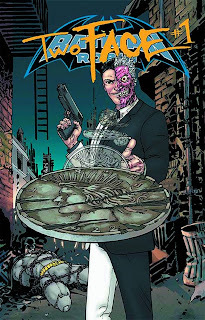 At first it just seemed like a one-shot of Two-Face doling out justice in his own way in Gotham but by the end its obvious that this is a tie-in into Forever Evil. 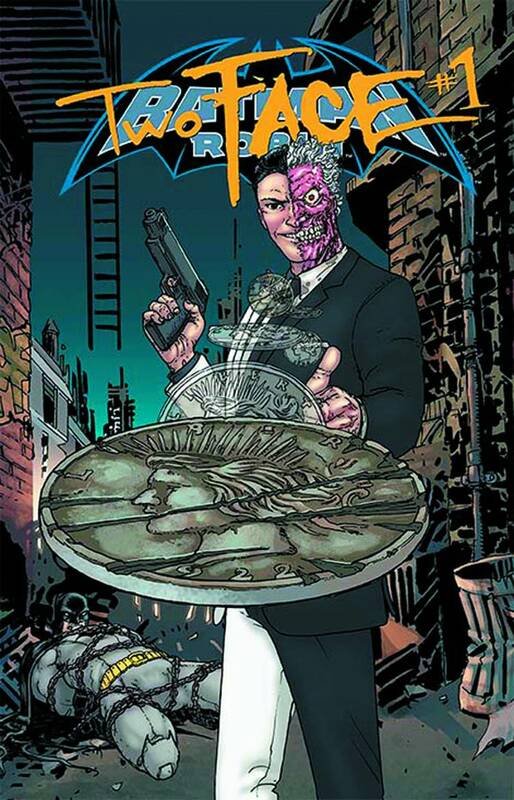 Seeing the other side of Two-Face was nice because you usually only see the criminal side of him. It was also great to see gown much his coin really controls him and his decisions. This thing really has a hold on him. The way he was depicted in this was awesome. His characterization in this may be my favorite aside from the animated show. 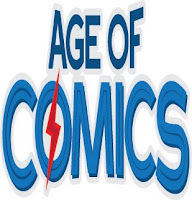 As a one-shot or tie-in it works both ways and excels in each category. 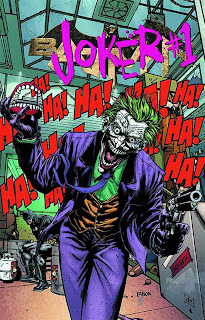 I strongly suggest this book above all other DC villain books that came out this week. The best way to describe this issue is the art is awesome and the story is crap. As most of these villain books this is the origin story of Darkseid. He starts as a man and kills gods to attain their power and in doing so becomes a god himself. He enslaves his own race, conquers his world, and then many others. Some other character shows up causes mischief and leads him to new worlds for his to destroy as Darkseid is chasing her. He finally captures her and decides to use her as a way to gain access to other worlds. At some point his involvement with the Justice League is recapped. The art was beautiful. It was really smooth and colorful. Besides the art this book was a waste of my time. I don't know if it was meant to be a one-shot, tie-in, or prelude but either way it bad. TNTM Comicast: Episode 97 - Snorting Kryptonite?